The two recipients were selected among more than a dozen art students by Cochise Art Department head Tonya Borgeson (far left on last photo) for enthusiasm and excellence in their art studies. “We’re very excited to be able to offer these two dedicated students a way for them to continue to pursue their art education.” she noted. Only 40% of local schools today offer arts education. 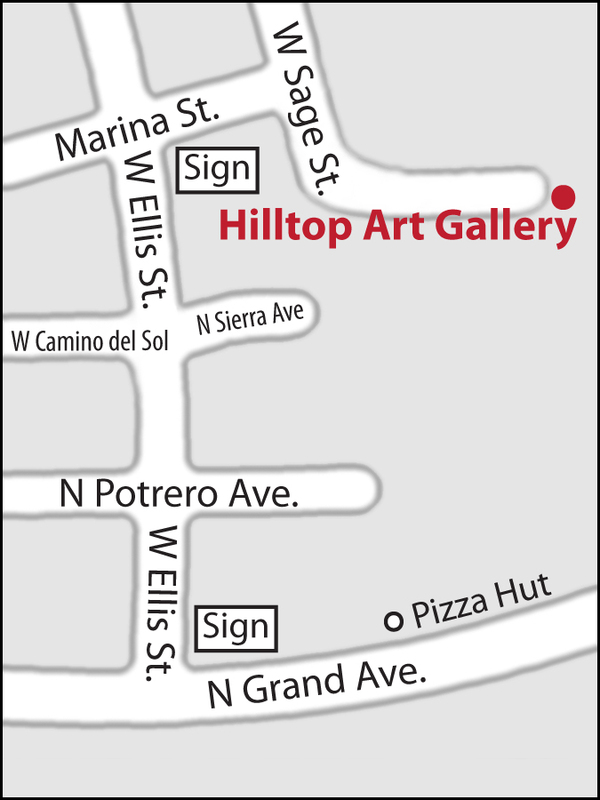 The Hilltop is proud to be able to support students in our County who are committed to building their art careers. Hilltop members Virginia Vovchuk, Pam Wedemeyer and George Thomson are also currently exhibiting at Cochise, what we now call the “Hilltop extension gallery”. We are very grateful to the College and for member donations, plus grants that make this collaboration possible.